VERLT: Countering violent extremism and radicalisation leading to terrorism – discussing key issues and threats and options for countering radicalising extremist narratives. In comparing and contrasting counter radicalisation approaches it is helpful to ‘situate the threat’ and response within a structured model. In simplistic terms, subdivision can be made into radicalisers (those seeking to influence and potentially actuate violent response) and radicalisation targets. 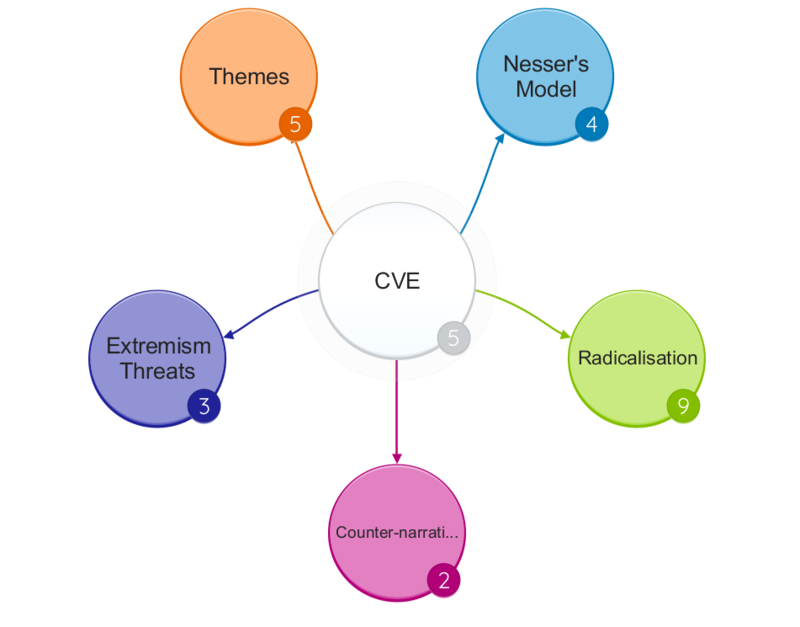 Nesser (2010) in an examination of Jihadi terror cells in Europe relates a multi-category model, in which he postulates four main terrorist actor types. Entrepreneurs, the organisational lynchpins of terrorist groups; Protégés, the loyal and close associates of Entrepreneurs; Misfits, the socially underdeveloped, and Drifters, transient and often rebellious youth (Ibid, pp. 92-95). The vulnerability profile of each of Nesser’s actor types can be further contextualised using the United Kingdom’s PREVENT (HM Government, 2011), Channel (HM Government, 2015a) and Counter Extremism (HM Government, 2015b) strategies. Channel assesses the level of “engagement, intent and capability” (HM Government, 2015a, pp. 11-12) of an individual in relation to violent extremism and terrorism. With the rise of self-radicalisation and historical peer-to-peer radicalisation in prisons, schools, religious institutions, universities (HM Government, 2015c) and work places, it is helpful to consider the spaces in which Nesser’s actor types operate and the threats they pose to individuals and communities therein. Using a thematic approach comprising; Exposure, Receptivity, Detection, Reversal and Reintegration, key approaches to combating radicalisation and violent extremism are compared and contrasted, primarily using examples from the UK. It seems intuitive that counter-radicalisation policy reflects national cultural and social norms. 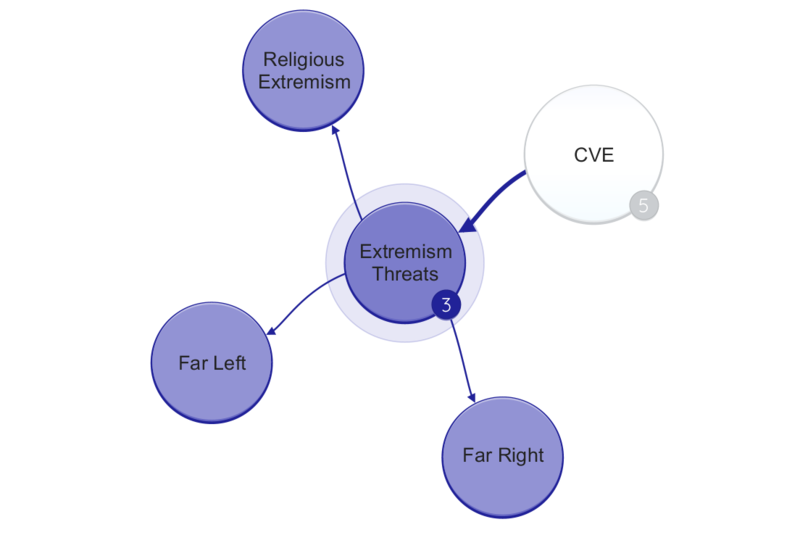 In exploring this proposition, examples are drawn from the Aarhus counter-radicalisation model in Denmark, as well as approaches used in the United States, Canada, France and Australia. A central tenet of the UK’s PREVENT strategy is to reduce exposure to and appeal of extremist ideology. A field dampening effect is sought that interrupts the propagation of radicalising narratives (Roy, 2008) and their resonance with receptive audiences. The radicalising source may be remote (using online channels) or proximate as in the radicalisation of peer group members, prison inmates or family members. Approaches brigaded under this theme may all be compared, in striving towards the basic goal of limiting the propagation of extremist views and uncontested spaces (physical or virtual) in which they may be encountered. These approaches include isolating extremist messages and constructing counternarratives that reinforce democratic and tolerant values, challenging extremist preachers and speakers, even deporting them or stopping them visiting the UK. To prevent attempts at entryism and subterfuge, good governance of schools (Clarke, 2014, pp. 90-91), charities and other social institutions are vital (HM Government, 2015b, p. 19). This broadens the comparative context to include referent objects beyond the citizen, as local, national and transnational institutions may be the target of radicalisers (Qadir, 2016, pp. 108-110). Significant cooperation in combatting online extremism is reflective of common national interests and challenges (including through the United Nations (Government of Canada, 2013, p.17)). This is unsurprising given the common threat that transnational terrorists such as ISIS and Al-Qaeda pose globally. In considering exposure risks more broadly, it is interesting to compare and contrast foreign policy interventions (through stabilisation programmes and international development) with domestic community integration and cohesion initiatives. A grand strategy of combating extremism at global scale may seem over-optimistic. In the international space, concepts such as ‘shared values’ may be all the more intangible. Care must also be taken not to lend credence to suppression of legitimate political dissent through veiled counter-extremism measures in foreign nations. In the context of Nesser’s categories, minimising exposure of radicalisation messages to Misfits and Drifters seems logical. By contrast, the Protégé may require more targeted counter-narrative and belief challenge. Entrepreneurs as sources and brokers of radicalising content are arguably the most dangerous and deep-rooted ‘nodes’. Removing or discrediting their influence demands highly informed and credible challenge, the best source for which may be former radicals (Qadir, 2016, pp. 107-130). Contrasting US and UK public discourse, hate speech protection considered virtuous in the former is resolutely eschewed in the latter. Entry bans to the UK are targeted and few, whilst US policy has shifted towards entire nations (Hurley, 2017). Teasing apart the various actor roles, motivations and threat profiles therefore sheds light on where comparative and contrasting approaches are directed. It is next helpful to examine the concept of receptivity, along two axes. Firstly, it is important to question who is likely to be receptive to radicalising influences and why. There does not appear to be a simple answer, single profile or radicalisation pathway that has near adequate explanatory power (Bartlett, Birdwell and King, 2010, p. 7). It is informative however to compare receptivity in the context of an established democracy such as the UK with that in less stable nations with a prevalence of political violence and repression. Secondly, it is helpful to consider receptivity to predominant social norms (Horgan, 2009, pp. 118-138), or what might otherwise be termed ‘shared values’. In so doing, we arrive at a better understanding of the effectiveness of narrative and counter-narrative. Nesser’s model is again useful for structure. Social deprivation, racism, broken families, poor social mobility and other socio-economic factors may disproportionately affect the Drifter and Misfit. Entrepreneurs and Protégés may be more educated, professional and urbane. Approaches to combating receptivity therefore requires strategic multi-agency collaboration, particularly in education, employment and social integration. Converts, neophytes, family members and prison inmates may experience a nexus of ‘situational factors’ and therefore require additional support. In the young, identity crisis, rebellion or thrill seeking may be factors (OSCE, 2012, p. 4) with certain explanation perhaps drawn from Social Movement Theory (Wiktorowicz, 2004, pp. 1-33). Interventions, be they through Channel referrals or through the criminal justice system (Horgan, 2014, pp. 147-148) can therefore be compared and contrasted in terms of ‘scale’ ‘severity’, ‘urgency’ and ‘lead agency’. The Institute for Economics and Peace in its Global Terrorism Index report (2017, p.64) summarises extremism and terrorism risk factors in the Organisation for Economic Co-operation and Development (OECD) versus non-OECD countries. Drivers including socio-economic opportunity and community cohesion in the former versus exposure to conflict and political terror in the latter, highlight the dichotomy. This helps contextualise and contrast various approaches applied in the domestic context with those in international stabilisation and development. In both, counter-narrative and promotion of normative values (democracy, human rights, the rule of law) are important. Building ‘good citizenship’ in the domestic context and ‘winning hearts and minds’ in the international has overlaps. Deviation from espoused values, either domestically or internationally may exacerbate the ‘receptivity challenge’ in both contexts. Having considered exposure and receptivity, it is next helpful to consider detection and referral aspects of counter-radicalisation approaches. 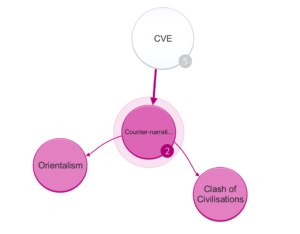 It is useful to add a dividing line between embryonic and emerging radicalisation and the (possible but by no means predestined) tip-over point into actualised violence or terrorism support. On the left hand side, salient approaches may include Channel referral (in the UK) and de-radicalisation support packages, community based mentoring or mental health interventions. On the right hand side, offenses having been committed, criminal justice leads. Comparing social attitudes to cultural or religious symbolism in France and the United Kingdom (UK), or punitive versus reparative justice models in the United States (US) (Bjelopera, 2013) and Nordic states, highlights variability in response. It seems logical that these variations are constructed out of differing national identities, cultural references, histories as well as prevailing political ideologies. What is tolerated and for how long, has evolved along with the terrorism threat. Detection and referral early in the radicalisation ‘cycle’ is a key aim. Community policing (Organization for Security and Co-operation in Europe, 2014, pp. 70-74), health, education and social workers, faith leaders, technology companies, counter-terrorism police and intelligence agencies have the potential to form a vast protective net. Detection and referral requires high levels of trust, with assurances that referred individuals will be safeguarded and not needlessly criminalised or outcast. In Australia there was early recognition of faith communities as strategic assets in the fight against radicalisation and terrorism (Wright-Neville, 2009, p.6). This can be contrasted with less enlightened discourse constructed in orientalist thought and the culture clash of ‘them and us’ (Said, 2003). Interventions and safe exits from radicalisation pathways are essential. There is potential to learn from each intervention and harvest counter-narratives to further ‘harden’ the social environment against evolving radicalising influences. Reversal or de-radicalisation approaches provide the ‘off-ramps’ from radicalisation pathways back into a normative and constructive mainstream. The question however arises as to why non-violent radical or extremist ideas must be systematically rebutted. In the US, hate speech has protection under the First Amendment. In the UK, extremist or radical views are considered contrary to ‘British values’ and a risk to social harmony (HM Government, 2015b, p.7). The US model provides space for highly controversial discourse, under a premise that argumentation in the public arena will expose falsehood and malice (Kahn, 2012, pp. 568-576). This is a reinforcement of and not a challenge to the US conceptualisation of freedom. By contrast, the UK disavows and legislates against the same, considering it a fundamental abuse of British freedom and tolerance. In understanding the construction of de-radicalisation approaches in the UK it is helpful to unpack the Vulnerability Assessment Framework within Channel and its dimensions of Engagement, Intent and Capability (HM Government, 2015b, pp. 11-12). Engagement indicates the degree to which an individual is involved with an extreme group or ideology, Intent is a harm factor and Capability, the proficiency to cause harm. Nesser’s Entrepreneurs and Protégés likely score high on all dimensions, Misfits and Drifters may lack both real intent and capability and may therefore be easier to interdict. Irish republican (Swann, 2017) and right wing radicalisation (Kundnani, 2012) of military personnel (Dearden, 2017) are particularly concerning, given high levels of corresponding capability. Counter-radicalisation approaches must therefore not only apply to the general public, but to public servants. 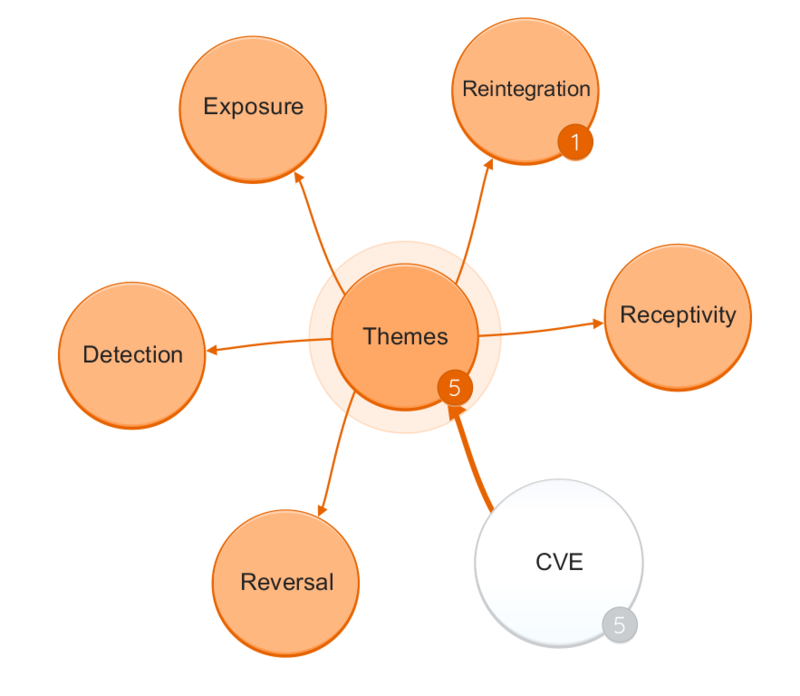 The insider threat risk therefore provides a point of contrast with other actors types. Finally, reintegration approaches must be considered. The first challenge is reformation and reintegration of offenders within the domestic criminal justice system. Low level criminality, drug and alcohol abuse have been factors in the backstories of radicalised miscreants. Prevention of recidivism ties back into reducing exposure to and resonance of radicalising narratives. A second challenge is reintegrating returning foreign fighters (Barrett, 2017, pp. 26-27). Arguably, for decades, returning fighters have self-managed ‘reintegration’, slipping back into UK society from conflicts in Afghanistan, Bosnia, Chechnya and Iraq (van Zuijdewijn and Bakker, 2014). The collapse of ISIL’s self-declared caliphate and the exodus of fighters from Mosul and Raqqa raises a challenging question. Can and how should returnees be reintegrated? Perhaps the most striking approach is that taken in Denmark. The Aarhus Project provides comprehensive support measures including education, employment, health, housing and even counselling for returnees (Bertelsen, 2015). Those wanted or suspected of terrorist violence in countries such as Syria or Iraq face prosecution under Danish law. Assuming a remainder did not participate in illegal violence, they are offered very generous reintegration support if they eschew extremism and violence. This is perhaps the ultimate contrast, given alternative views that foreign fighters should be ‘killed in theatre’ (Elgot, 2017). 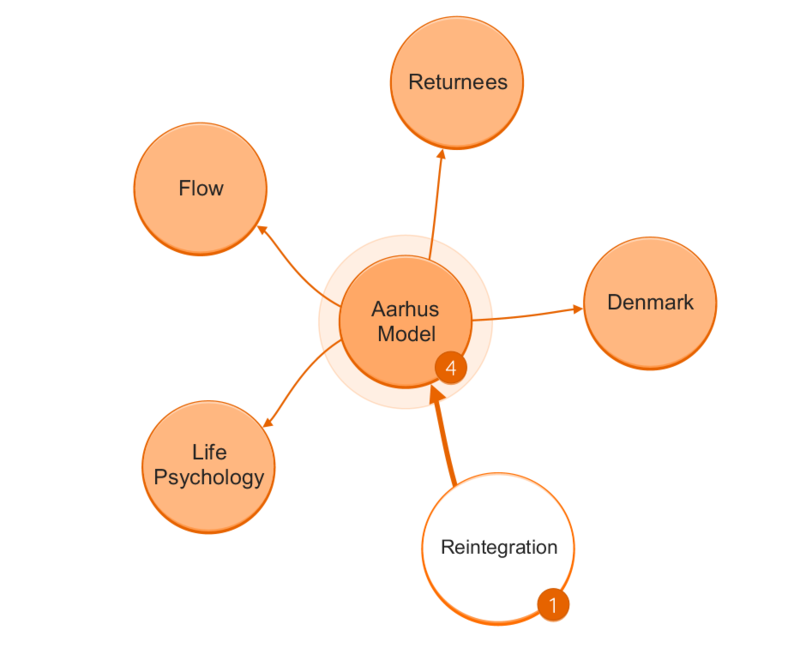 The Aarhus model has some similarities with Channel, although its construction is based on theories of Life Psychology (Bertelsen, 2016, pp. 4-18) and Flow (Csikszentmihalyi, 2002). Channel’s Vulnerability Assessment Framework provides a useful set of indicators, but the Aarhus model seems to go further in providing explanatory power as to why those indicators are present. Flow is a balancing ‘point’ of challenge and capability outside of which individuals become either overwhelmed or unfulfilled. Using Life Psychology and Flow as lenses to revisit the thematic categories of Exposure, Receptivity, Detection, Reversal and Reintegration has potential. Focusing on individual achievement, capability and fulfilment may help avoid threadbare explanations of fractured multi-polar cultures. Policy makers have formulated numerous approaches to combating radicalisation and violent extremism that lead to terrorism. 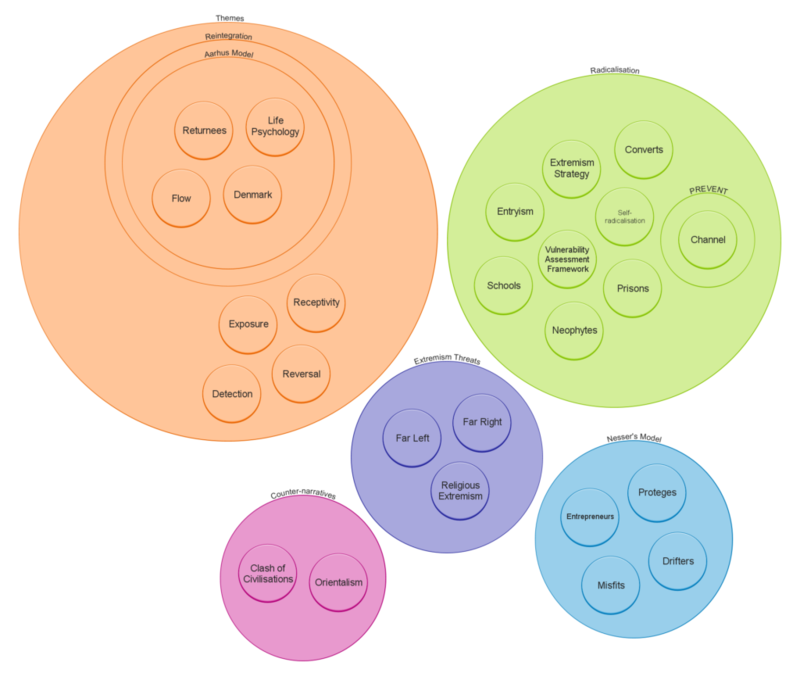 Organising approaches into thematic categories helps contextualise their intent and provides a point of comparison within and contrast between themes. 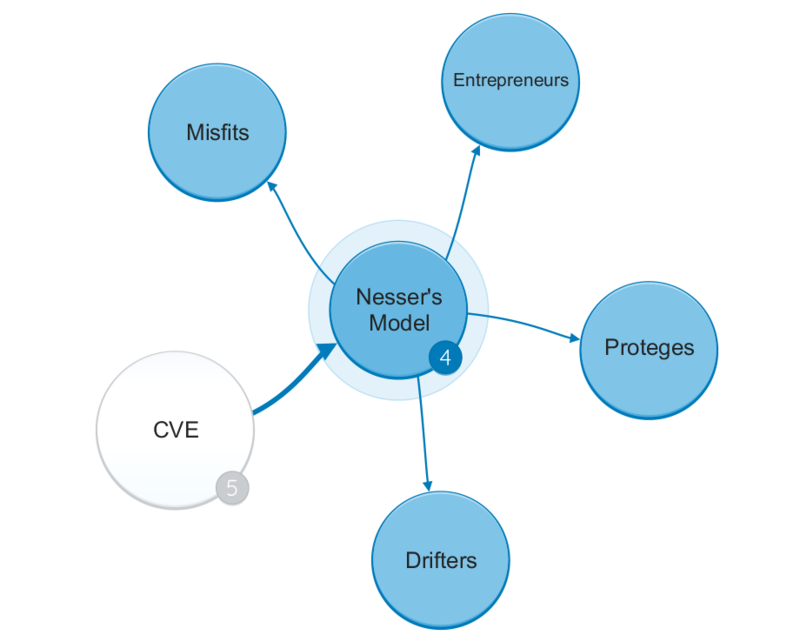 This comparison is further enriched by considering threat actors and potential victims, using Nesser’s model of Entrepreneurs, Protégés, Misfits and Drifters. Simplistically (and very broadly) the Institute for Economics and Peace reports that risk factors differ in OECD and non-OECD countries, highlighting the need to improve social mobility and community cohesion in the former, and reduce political violence and conflict in the latter. There are dangers that counter-radicalisation programmes in repressive states could target legitimate dissent and opposition. Governments and sponsors working in stabilisation and international development must be cognisant and alert. In comparing and contrasting approaches across nations there are significant areas of commonality and collaboration, particularly on transnational concerns such as combatting online radicalisation. Points of deviation can to some extent be explained by cultural, historic, political and constitutional differences. Collaboration on transnational terrorism threats (such as Al Qaeda and ISIL) are pervasive, but the dangers of home grown terrorism and far left and right wing extremism must also be addressed. Components of the Aarhus model including Life Psychology and Flow may help widen the analytical lens and drive innovation. We really hope you found our article on Countering Violent Extremism and Radicalisation Leading to Terrorism useful and enjoyable. Barrett, R. (2017) ‘BEYOND THE CALIPHATE: Foreign Fighters and the Threat of Returnees’, (October), pp. 1–40. Available at: http://thesoufancenter.org/wp-content/uploads/2017/10/Beyond-the-Caliphate-Foreign-Fighters-and-the-Threat-of-Returnees-TSC-Report-October-2017.pdf. Bartlett, J., Birdwell, J. and King, M. (2010) The Edge of Violence: A Radical Approach to Extremism, Demos. doi: 10.1080/09546553.2015.1038523. Bertelsen, P. (2016) Violent radicalization and extremism A review of risk factors and a theoretical model of radicalization, Department of Psychology and Behavioral Sciences Aarhus University Denmark (translated book chapter). Available at: http://psy.au.dk/fileadmin/user_upload/Bertelsen_-_Aarhus_Model_-_radicalization_-_life_psychology.pdf. Bjelopera, J. P. (2013) ‘Countering violent extremism in the United States’, pp. 1–41. Clarke, P. (2014) Report into allegations concerning Birmingham schools arising from the ‘Trojan Horse’ letter. Available at: https://www.gov.uk/government/uploads/system/uploads/attachment_data/file/340526/HC_576_accessible_-.pdf. Csikszentmihalyi, M. (2002) Flow: the classic work on how to achieve happiness. Rider. Dearden, L. (2017) ‘National Action: British soldiers accused of joining banned neo-Nazi terrorist group appear in court’, The Independent, 21 September. Available at: http://www.independent.co.uk/news/uk/crime/national-action-british-soldiers-neo-nazi-terrorist-group-court-west-midlands-vevhilainen-deakin-a7959346.html. Elgot, J. (2017) ‘British Isis fighters should be hunted down and killed, says defence secretary’, The Guardian, 8 December. Available at: https://www.theguardian.com/politics/2017/dec/07/british-isis-fighters-should-be-hunted-down-and-killed-says-defence-secretary-gavin-williamson. Government of Canada (2013) Building Resilience Against Terrorism – Canada’s Counter-terrorism Strategy. Available at: https://www.publicsafety.gc.ca/cnt/rsrcs/pblctns/rslnc-gnst-trrrsm/rslnc-gnst-trrrsm-eng.pdf. HM Government (2015a) Channel Duty Guidance Protecting vulnerable people from being drawn into terrorism – Statutory guidance for Channel panel members and partners of local panels. Available at: https://www.gov.uk/government/uploads/system/uploads/attachment_data/file/425189/Channel_Duty_Guidance_April_2015.pdf. HM Government (2015b) Counter Extremism Strategy. Available at: https://www.gov.uk/government/uploads/system/uploads/attachment_data/file/470088/51859_Cm9148_Accessible.pdf. HM Government (2015c) ‘Prevent Duty Guidance: for further education institutions in England and Wales’, 12 March 2015, (March). doi: ISBN: 978-1-78246-7933-9. Horgan, J. (2009) Walking Away from Terrorism: Accounts of disengagement from radical and extremist movements. Routledge. Horgan, J. (2014) The Psychology of Terrorism. Routledge. Hurley, L. (2017) ‘Supreme Court lets Trump’s latest travel ban go into full effect’, Reuters, 4 December. Available at: https://www.reuters.com/article/us-usa-court-immigration/supreme-court-lets-trumps-latest-travel-ban-go-into-full-effect-idUSKBN1DY2NY. Kahn, R. A. (2012) ‘Why Do Europeans Ban Hate Speech: A Debate Between Karl Loewenstein and Robert Post’, Hofstra Law Review, 41(November), pp. 545–585. Available at: http://www.hofstralawreview.org/wp-content/uploads/2013/09/BB.1.Kahn_.final2_.pdf. Kundnani, A. (2012) ‘Blind spot? Security narratives and far-right violence’, Security and Human Rights, 23(2), pp. 129–146. doi: 10.1163/18750230-90000008. Nesser, P. (2010) ‘Joining jihadi terrorist cells in Europe: Exploring motivational aspects of recruitment and radicalization’, in Ranstorp, M. (ed.) Understanding Violent Radicalisation: Terrorist and Jihadists movements in Europe. Routledge, pp. 87–114. Organization for Security and Co-operation in Europe (2012) ‘Youth Engagement to Counter Violent Extremism and Radicalization that Lead to Terrorism Report on Findings and Recommendations Joint OSCE Secretariat – OSCE ODIHR Expert Roundtable’, (October), p. 12. Available at: http://www.osce.org/atu%5Cnhttp://www.osce.org/atu. Roy, O. (2008) ‘Al Qaeda in the West as a Youth Movement: The Power of Narrative’, CEPS Policy Briefs, (168), pp. 1–8. doi: 10.2139/ssrn.1333550. Said, E. (2003) Orientalism. Penguin. Swann, S. (2017) ‘Ciarán Maxwell: The dissident republican who infiltrated the Royal Marines’, BBC News, 31 July. Available at: http://www.bbc.co.uk/news/uk-northern-ireland-40742236. The Institute for Economics and Peace (2017) Global Terrorism Index. Available at: http://visionofhumanity.org/app/uploads/2017/11/Global-Terrorism-Index-2017.pdf. Wiktorowicz, Q. (2004) Islamic Activism: A Social Movement Theory Approach. Indiana University Press. Wright-Neville, D. (2009) ‘Community Policing and Counter-Terrorism: The Australian Experience’, Research Inst European and American Studies, May 27 2009, 16 pp., (130), pp. 1–16. Available at: http://search.proquest.com/docview/58821685?accountid=13042%5Cnhttp://oxfordsfx.hosted.exlibrisgroup.com/oxford?url_ver=Z39.88-2004&rft_val_fmt=info:ofi/fmt:kev:mtx:book&genre=book&sid=ProQ:PAIS+Index&atitle=&title=Community+Policing+and+Counter-Terrorism. van Zuijdewijn, J. de R. and Bakker, E. (2014) Returning Western foreign fighters : The case of Afghanistan , Bosnia and Somalia, The International Centre for Counter-Terrorism –The Hague. Available at: http://icct.nl/publication/returning-western-foreign-fighters-the-case-of-afghanistan-bosnia-and-somalia/.